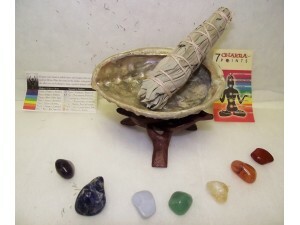 Smudging has been used for the removal of spirits, negative energies, to bring peace and many other ceremonies. Healing Qualities: amethyst magnifies the energy of other crystals. It is good for overall protection, and physical, emotional, and mental balance. It can be used to encourage chastity and relieve homesickness. It helps negotiation skills, decision-making, wealth, business success, moving forward in life, coping with responsibility and change, and public speaking. It is used for purification during ceremonies. Physical: heals the causes of disease. Good for hearing, hormone regulation, insomnia, headaches, migraine, acne, asthma, but clots, bacterial and viral infections, bad posture, cancer, and arthritis in a elixir. Good for the health of the immune system, circulatory and sympathetic nervous systems, bones, heart, stomach, skin, teeth, liver, and endocrine glands. Helps with drunkenness and addictions, especially with alcoholism. Aids in detoxification and blood cleansing. Emotional/spiritual: helps with obsessive compulsive disorder, and with anger and violent tendencies. Calms passion, nerves, oversensitivity, tension, emotional energy, and grief. Enhances the aura, self-esteem, meditation, spare contact, and spirituality. Healing Qualities: good for ideas, perception, creative expression, and endurance. Useful in groups. Physical: good for physical balance in the health of the metabolism and lymphatic system. Helps high blood pressure, insomnia, autism, aging, diabetes, and calcium deficiency. Assist the development of babies. Emotional/spiritual: good for calming, self-esteem, mental health and healing, and communicating feelings. Helps confusion, inadequacy, mental unrest, oversensitivity and fear. Healing Qualities: improves communication on all levels. Physical: good for the eyesight, speech, nails, and pancreas. Helps arthritis, stammer, fluid retention, trapped nerves, skin growths, and broken bones and fractures. Sooths tired eyes in an elixir. Emotional/spiritual: gentle and calming. Brings balance and emotional stability. Raises your spiritual level and improves communication of spiritual ideas. Assists with attunement. Healing Qualities: good for creativity, motivation, leadership, decisions, speed and fast reactions. Helps pre-exam and exam stress, and Ying Yang balance. Physical: good for the muscles, lungs, heart, adrenal glands, and urogenital system. Emotional/spiritual: protects, calms and sooths emotions. Aids in relaxation, facilitates contact with spirit guides. Prevents energy vampires sapping energy. Chakra: solar plexusHealing Qualities: a money stone, that brings abundance and wealth. Good for decision-making, learning, and teaching, studying, creativity, awareness, writing, problem solving and new beginnings. Also a feel better stone. Helps to sell houses. Physical: good for the digestive system and all related disorders. Also good for eyesight and the heart, kidneys, thyroid, thymus and liver. Helps tissue regeneration, anemia, jaundice, nausea, vomiting, and detoxification. Emotional/spiritual: good for relationships, self-esteem, aura work, and getting rid of emotional toxins. Helps anger and ying Yang balance. Healing Qualities: a feel better stone, it helps with study, memory, inspiration, speech and the voice, and is good for life performers. It can relieve laziness and apathy and bring vitality, self-esteem, compassion, courage, impersonal power. Good on meditation retreats. Physical: reduces thirsts, good for digestion, tissue regeneration and revitalizing the blood. Good for the gallbladder, liver, lungs, kidneys, spying, spleen, pancreas and thyroid. Helps appetite in eating disorders, asthma, hay fever, common colds, bronchitis, infections, urology, M.E., lethargy, jaundice, minor cuts and grazes. Emotional/spiritual: enhances your connection to spirit and enables you to see the links between disease and emotions so that you can deal with the emotions and prevent disease. Helps anger, envy, fear, rage, sorrow, confusion and jealousy. Physical: good for the reproductive system and sexuality. Helps sunburn. Emotional/spiritual: good for emotional control.